I recently opined on the subject of “likability and capability.” From some of those thoughts you may have drawn the conclusion that being likable is not something for which you should strive. That is not the case at all. Likability is a trait that can be developed. Far too many people succumb to the mistaken belief that being likable comes from natural, unteachable traits that belong only to a fortunate few—the good looking, the fiercely social, and the incredibly talented. It’s easy to fall prey to this misconception. In reality, being likable is under your control, and it’s a matter of emotional intelligence (EI/EQ). 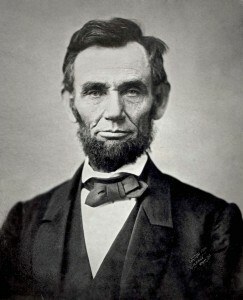 Likable Leaders Smile – People are naturally somewhat relaxed by the smile of the person that is speaking to them. If you want people to like you, smile at them during a conversation and they will have a tendency to return the favor. But use your real smile. Not the one you used for your school pictures in elementary school! Likable Leaders Leave a Strong First Impression – Research shows most people decide whether or not they like you within the first seconds of meeting you. They do not even take an entire minute to make that decision. But do not fear. Just do the things that you mother taught you when you were growing up. Stand up straight, smile (we covered that above), extend your hand for a warm and firm handshake and then look them in the eye with kindness in your own eyes. Likable Leaders Greet People by Name – Your name is an essential part of your identity, and it feels terrific to you on an emotional level when people use it to address you. Likable leaders make certain they use others’ names every time they greet them. But don’t just use someone’s name only when you greet him. Make it a natural part of your conversation with them following the greeting. Likable Leaders Ask Questions – The biggest mistake people make when it comes to listening is that they are so focused on what they are going to say next or how what the other person is saying is going to affect them that they fail to hear what’s being said. A simple way to avoid this is talk less and to ask a lot of questions. I first learned this trait from my father-in-law. He was a master at asking the right question at the right time. Likable Leaders Don’t Seek Attention – Most people avoid those who are desperate for attention. No one like a drama king / queen. Likability and extrovert are not synonymous terms. When you speak in a calming, friendly, confident, and concise manner, you will notice that people are much more attracted to you, attentive to your message, and approachable. Likable Leaders Know When To Be Transparent – Likable leaders let the other person guide the timing of when it’s the right time to open up. Sometimes we can be too transparent too quickly. But don’t hold everything back. Opening up to others in confidence will give them the signal that they can open up to you. Likable Leaders Put Away Their iPhones and Androids – This is a tough one. And developing good smartphone etiquette will really enhance your likability. Nothing will turn someone off to you like a mid-conversation text message or even a repeated quick glance at your phone. People can tell when you are checking the time on your phone and when you are really more concerned about your email than you are about them. When you are in a conversation, be fully in it. This is a key one for many to grasp and apply to personal relationships as well. There are times and situations when emergencies arise. Develop a “signal” with family members and loved ones. Two quick calls from my family means they really need me. And I have had to step away from someone or a small group conversation to respond to an urgent message. 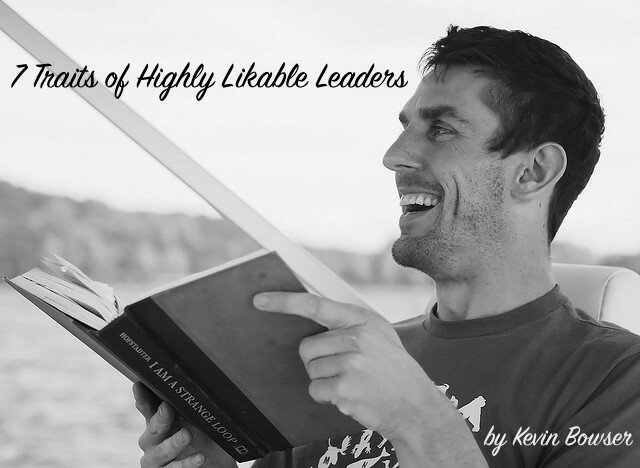 Are you a likable leader? How many of these traits come easy to you? Do any of them sound too hard to develop? Each of these are simple behaviors that you can work on and become more proficient. And when you do, you likability will go sky high!